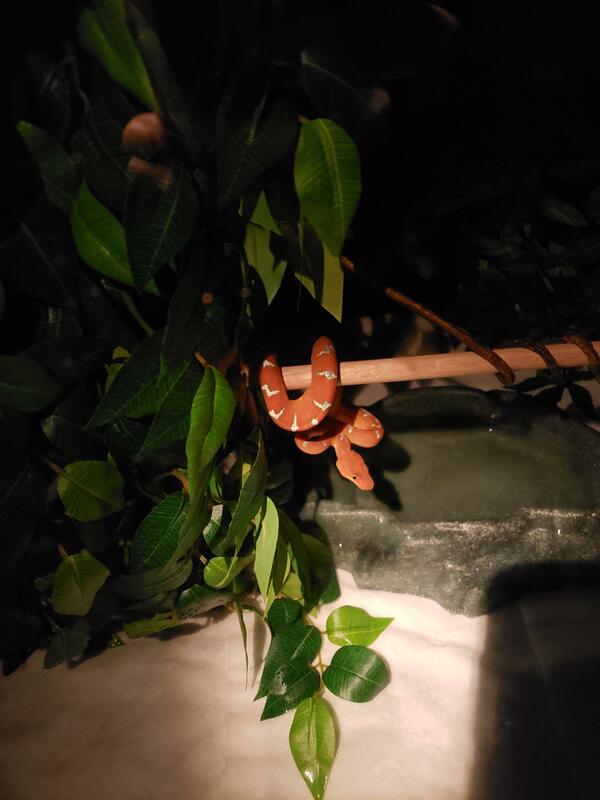 Last night was feeding time for my baby emerald tree boa (Ozzie) and figured I would try to get some pics to share. I have had her for a little over 4 months. She has turned into a great eater. 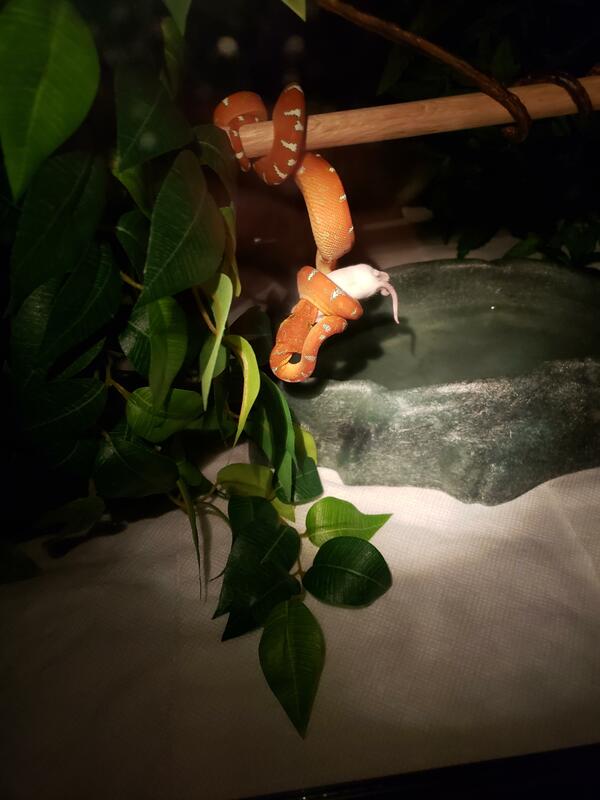 First couple of times feeding her was difficult until reading some other threads on here about the hair dyer trick some use for their ball pythons. That 100% made the difference for her. Since that time, she has turned into a hog come when its time to eat. Once the lights go out and she feels the sliding glass open.....Game on! Such a beautiful baby, thanks for sharing. The colors they are when young, are simply stunning. Awesomely pretty...& her color is such a nice contrast with the foliage too. I too found the hair dryer trick on this forum and it has made my life so much easier! Beautiful snake! !